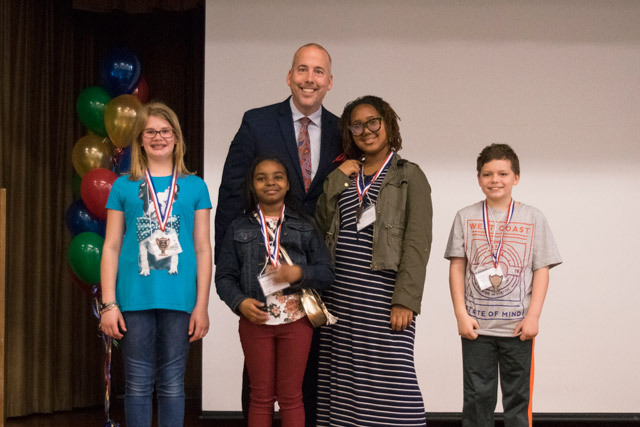 (04/16/2018) - Newport News fourth and fifth-grade students worked together as electrical and civil engineers to build miniature working lighthouses that emitted the greatest amount of light. 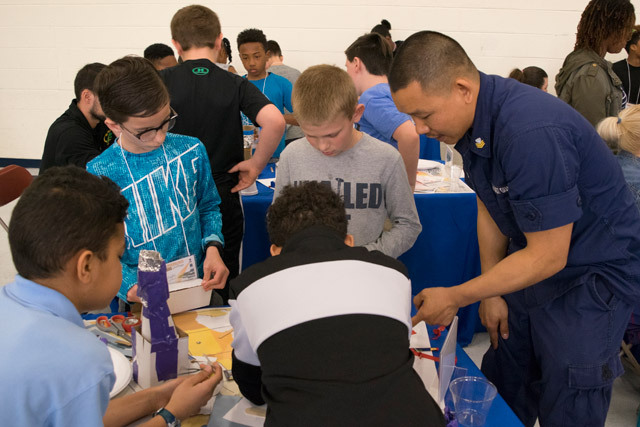 The design challenge, aptly named Sea of Light, was presented with the U.S. Coast Guard, giving students the opportunity to learn more about STEM careers in the military. Pairs of students from each team were separated into electrical and civil engineer tracks, with the electrical engineers learning to create circuits that produced the brightest light, and the civil engineers providing materials to create a lighthouse that would fit the circuit and make the structure secure. The engineers worked together to implement their circuit and design ideas to create a lighthouse with bright light. Winners were selected based on their lighthouse’s unique daytime identifiers and the brightness (or intensity) of the light. 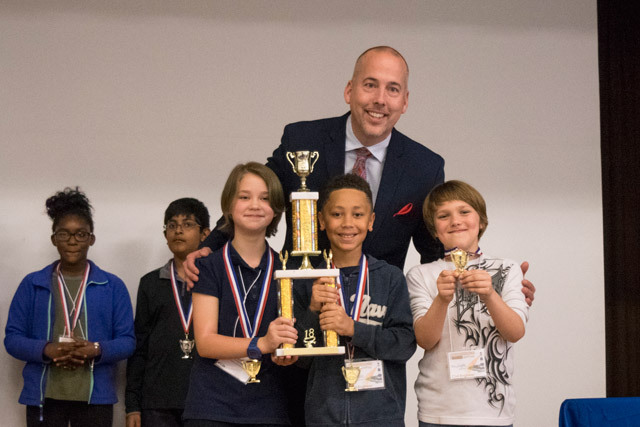 First place was awarded to Lee Hall Elementary School, Deer Park Elementary placed second and Riverside Elementary placed third. The Design Challenge is part of the school district’s ongoing STEM (science, technology, engineering and math) education initiative. The first place team from Lee Hall Elementary School pose with their trophy. 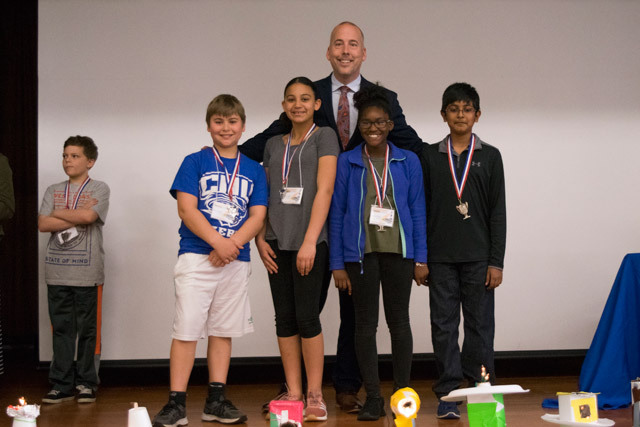 The team from Deer Park Elementary placed second in the design challenge. Riverside’s design earned the team third place in the challenge. A member of the Coast Guard provides guidance to student engineers during the challenge.